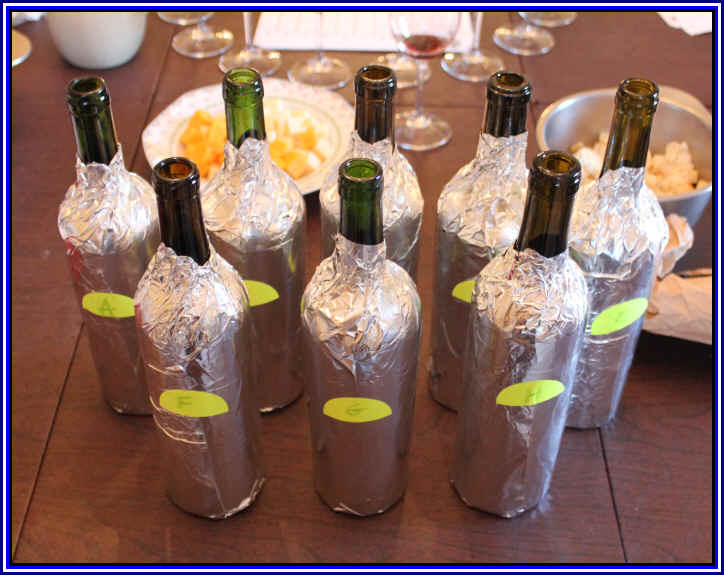 In our thirst for wine knowledge, we decided to assemble a set of red wines made of the Tannat grape. This is a variety one finds in the Southwestern part of France where it makes the wines of the Madiran appellation. It's a prominent variety in Uruguay where it's somewhat of the "national red wine grape." It can be found in Brazil, Australia and South Africa. Of course, California has a very small bit of acreage devoted to Tannat. 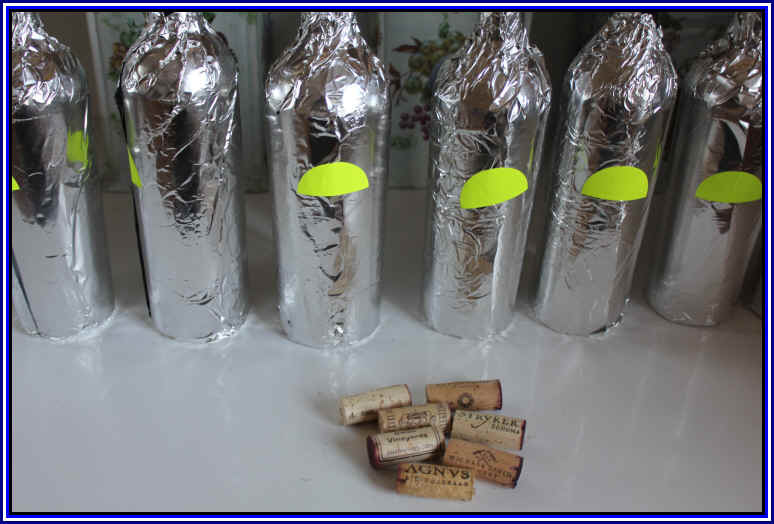 The grape tends to make wines which have good (dark) color and its wines tend to be fuller-bodied and fairly tannic. Tasting host Tim Zainer was able to acquire some wines from his backyard in Sonoma County and we filled in with a range of other selections. 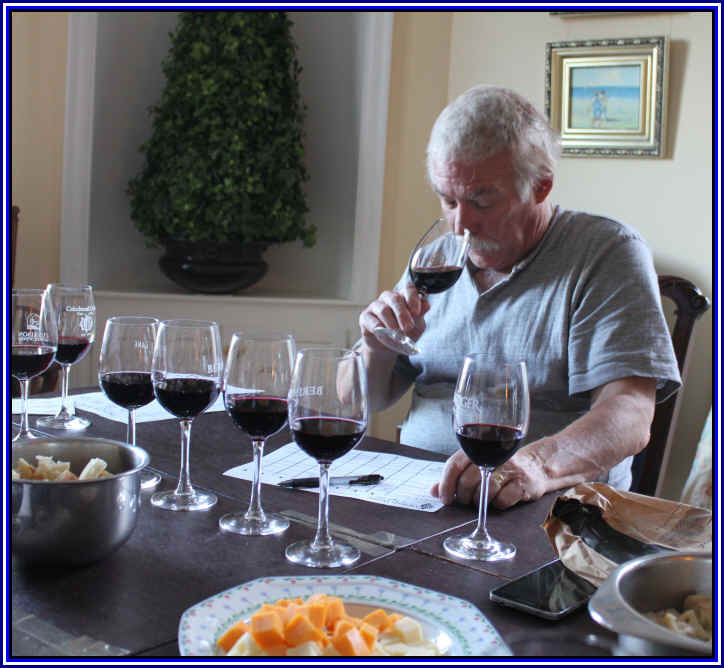 As it turned out, attendance at this tasting was sparse and so the results ended up where the 2nd Place through 8th Place wines were closely bunched. One wine, though, was well ahead of the rest of the pack, so that's a significant result. Ties, by the way, are broken by the greater number or First place votes...then Seconds, Thirds or Fourths. 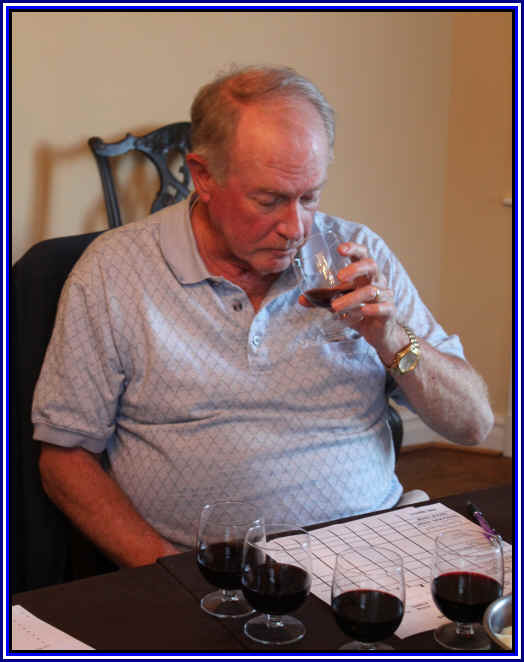 As you can see, the Second place wine had 20 points and the last place wines had 27, so one taster could have changed those results dramatically. 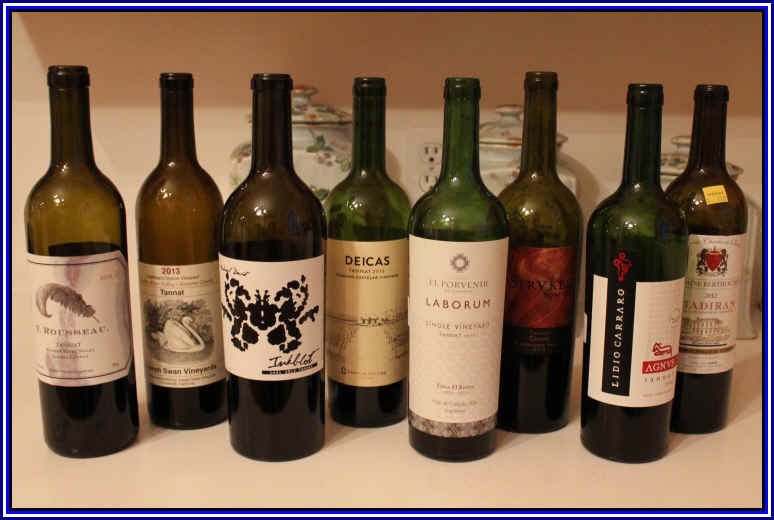 What we learned, essentially, was Tannat might be a really good blending grape, but it lacks the nobility or complexity of Cabernet Sauvignon, Pinot Noir and Syrah. I had higher hopes for these. 8th Place: DOMAINE BERTHOUMIEU 2012 MADIRAN "Cuvee Charles de Batz"
Berthoumieu is a famous estate in the Madiran appellation. It was clear in appearance and medium+ ruby in color. It displayed nice dark fruit fragrances and had a faintly spicy note on the nose. Dry...good acidity...medium-bodied. Dark fruit flavors but it was, like many of the other wines, a bit shallow overall. It's moderately tannic and drinkable now and perhaps for another 5+ years. I gave it three-quarters of a star. No stars is a standard or ordinary bottle of wine. 7th Place: LIDIO CARRARO 2014 Serra Gaucha Brazil TANNAT "AGNUS"
Clear in appearance and medium- ruby in color, this wine was a bit earthy and faintly leathery on the nose. It didn't offer much in the way of fruit, either...dry and with appropriate acidity. It's medium bodied but not much character or depth on the palate. It's a short-term wine...I'd go from no stars to maybe half a star, but there's not much wine here. Medium+ ruby in color and clear in appearance, this wine shows dark fruit and a light touch of wood. It's dry and mildly acidic, with medium+ body. On the palate there's dark fruit notes and a curious suggestion of a peach-like fruit which gave it a measure of distinction and charm. Nice red wine. One star. Clear in appearance and medium+ ruby in color, this showed a slightly woodsy element on the nose and a touch of fruit. Dry and showing a medium level of acidity, the wine is medium-bodied and mildly intense. There was a sort of coffeeish element on the palate. Perhaps it's worthy of three-quarters of a star. 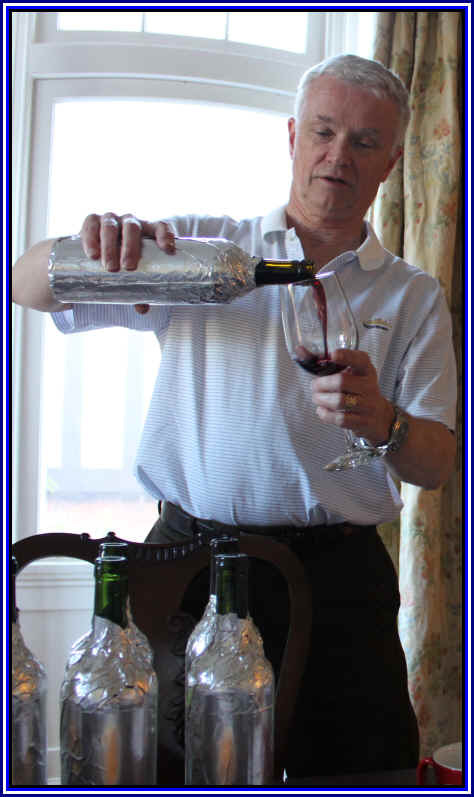 Dark purple in color and clear in appearance, the wine sports lots of dark fruit notes on the nose and light oak. It's mildly woodsy scents are appealing. Dry and mildly acidic, this is the sort of full-bodied red I expected from the Tannat grape. It's a big red, full-throttle and a bit coarse with a hefty level of tannin. One and a half stars+. 3rd Place: MICHAEL DAVID 2013 Lodi TANNAT "Inkblot"
Clear in appearance and fairly dark in color, there's a woodsy and almost dusty note to this wine. It's dry and has good acidity with medium+ body. It's a bit woodsy on the palate with some coarse tannins, typical of Tannat. 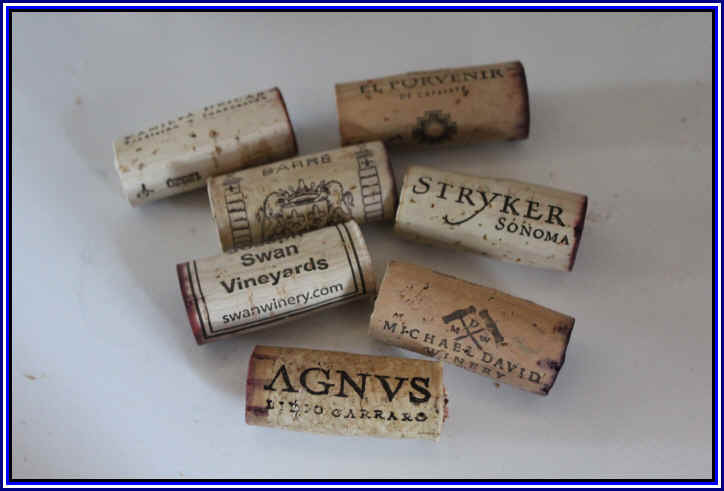 I'd tasted a previous vintage while judging at the San Francisco International Wine Competition and recall the Michael David wine being lavishly oaked. This one does show a bit of wood, but it didn't strike me as nearly as oaky as the 2012. Still, I liked the wine and gave it a one and a half star rating. 2nd Place: JOSEPH SWAN 2013 Russian River Valley TANNAT "Matthew's Station"
Medium ruby in color and clear in appearance, the fragrance of this wine was most distinctive, with floral notes and some red fruit. It reminded me a bit of rose petals, actually. Dry and medium acidity, this was a medium-bodied red. I thought it was a bit hot and tannic, with a grippy quality from the combination of alcohol and astringency. One star if you can stand the heat. Clear in appearance and medium ruby in color, there's a bit of red fruit on the nose. I knocked it down for not having more complexities on the nose. It's dry and mildly acidic with medium+ body. Dark fruit and a touch of vanilla bean on the palate give it some flavor interest and there's a modest "bite" from the tannin. One half star+ and well-liked by the other tasters.